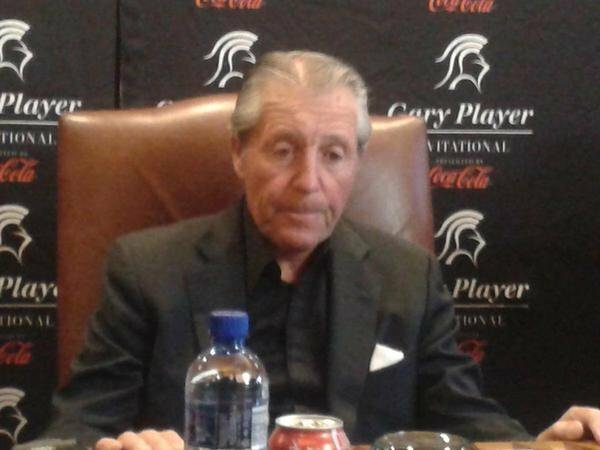 When Gary Player returns to South Africa this November to host the Gary Player Invitational presented by Coca-Cola at Sun City, it will mark the end of what has been another epic year of international travel for the World’s 'Most Travelled Athlete'. This has been the 64th consecutive year of international air travel for the Grand Slam champion, who has in this time journeyed more than 26 million air kilometres around the world for golf and charity, earning him the title of Golf’s Global Ambassador. This year alone the 81-year-old Player has logged 387 000 kilometres of air travel including trips to his six Gary Player Invitational charity tournaments in aid of underprivileged children. This year’s series has taken Player to Abu Dhabi, Tokyo, London, New York, and Mission Hills in China, with the final stop being Sun City for the South African tournament from 24-27 November. Player’s other travel commitments this year makes for a staggering list of countries that he’s visited for either tournament, business, philanthropy or family commitments, and which proves he has no intention of slowing down any time soon. Starting with his annual family beach vacation in Plettenberg Bay in December 2015, Player’s global travel itinerary this year has taken him from Vietnam to Cuba to Germany, and back home to the Gary Player Stud Farm and his racehorses in South Africa. He has been to Los Angeles for media engagements, Augusta for The Masters, taken trips to White Sulphur Springs in West Virginia and Branson in Missouri for golf course design projects, and Cuba to help grow the game. He has also had several playing commitments on the PGA Champions Tour. Player also made time to return home to Colesberg in the Great Karoo where he joined his wife Vivienne, the Mayor and some of the residents in a cleanup campaign of the town with Wildlands, a beneficiary of The Player Foundation for the South African leg of the Gary Player Invitational. There was a trip to Cape Town to film the Rolex documentary of his life, and then it was off to Frankfurt in Germany for a sponsor’s engagement with SAP and Berenberg. Player went to Troon in Scotland for The Open Championship after a stop in London to enjoy Wimbledon with his family. After a visit to the World Golf Hall of Fame in Florida, Player travelled to Rio de Janeiro as part of the South African Olympic team, where he captained the country’s men’s and women’s golf teams. After further visits to New York, the Honduras, South Carolina and Beijing followed, Player will begin to wind down his year of global travel when he hosts the Nedbank Golf Challenge at Sun City and then his own charity tournament, the Gary Player Invitational. “Air travel has changed so much since I started flying all those years ago,” says Player.